Do Process Safety Students Get Hands-On Severe Accident Mitigation Experience? It can't just come from books and lectures, right? We don't expect (or want) them to take on internships or get a job without practical experience in labs where something might actually react, even blow up. So, just how does the student wanting a career in process safety gain real life, hands on experience in a working lab? 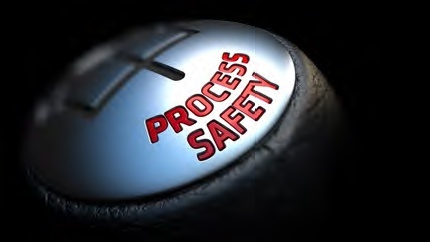 Purdue University formed the Purdue Process Safety and Assurance Center (P2SAC) in 2015. Since then, under the direction of Professor Osman Basaran, Academic Director and Dr. Ray Mentzer, Executive Director, P2SAC has established itself as a key resource for accessing pioneering theoretical research and providing process safety training and industry expertise to address and mitigate severe accidents in industry related to fire, explosions and gas releases across a wide range of manufacturing and consumer products industries. The P2SAC mission is to play a key role in educating students in process safety, and equipping them for success when entering the industry. Fauske & Associates, LLC (FAI), world leader in nuclear and chemical process safety, is pleased to be a contributing member and partner of P2SAC. Dr. Ashok Dastidar, PhD MBA, Vice President, Dust & Flammability Testing and Consulting Services for Fauske & Associates, LLC presented Minimum Ignition Energy (MIE) of Dust Clouds at the Spring 2018 P2SAC Conference May 10 in West Lafayette, IN. The Center’s conference, held each semester, provides a platform for industrial and academic experts to present and share updates on a variety of process safety topics. Anyone interested in learning more about the purpose of P2SAC, how to become involved as a member or attending upcoming conferences can visit their website at: https://engineering.purdue.edu/P2SAC, or contact Professor Basaran (obasaran@purdue.edu) or Dr. Mentzer (rmentzer@purdue.edu) for assistance. For more information regarding process safety testing, engineering, auditing and management (PSM), combustible dust, thermal hazards, reactive and adiabatic chemical safety, please contact us at info@fauske.com. www.fauske.com .